Even though it’s just the two of us, making ice cream is a weekly occurrence. I have the recipe to our favorite French vanilla memorized so it takes no time at all to mix up, but after week after week of vanilla, I decided we needed another staple. 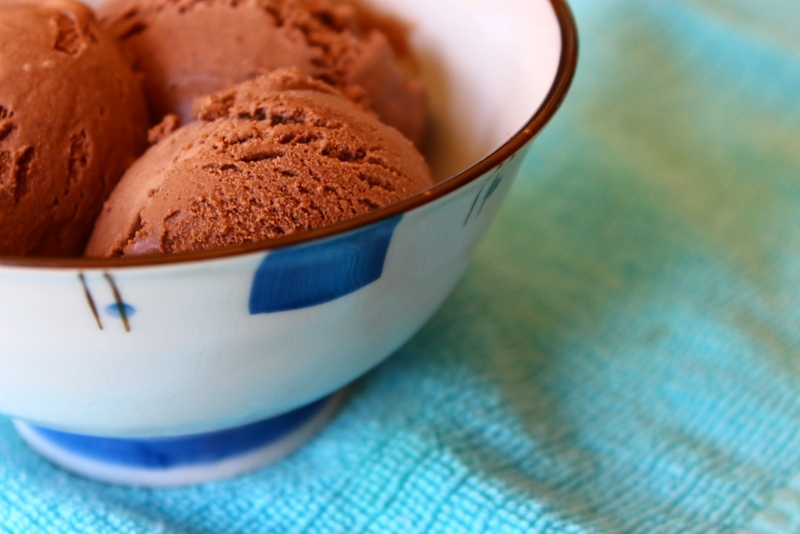 I set my sites on a strong chocolate flavor without resulting in a hard or grainy ice cream. Three iterations later, it turns out that the easiest change is also the best one. I learned a lot about how changing ingredients affects the end result, and I’m excited to try new flavors throughout the summer. 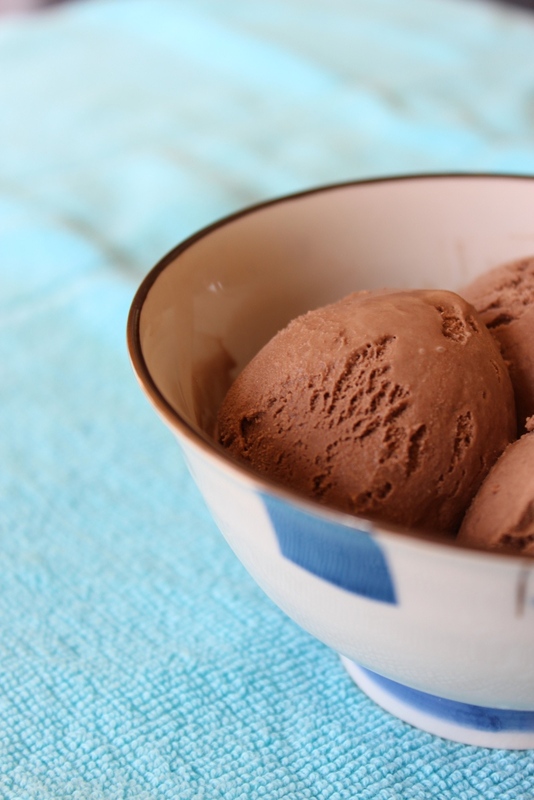 This ice cream is perfectly chocolatey, smooth and doesn’t freeze too hard (at least not in my freezer.) Observant readers might notice this is exactly the same as my French vanilla ice cream recipe, with the addition of cocoa powder. A bit more time-consuming than the standard vanilla, but worth the extra few minutes for a decadent treat. Cool mixture in the fridge until completely chilled, or over night. Freeze according to your ice cream maker’s directions. Enjoy alone or with your favorite toppings; I like a generous squirt of whipped cream. I like to use about half of each regular and dark cocoa powder, leaning more towards dark, but any combination will do. For chilling the ice cream, I like a 2-quart glass batter bowl. Plenty of room for whisking and a spout for pouring into the ice cream maker. Mine is from Anchor. Place your freezer-safe storage bowl in the freezer (no lid!) while the ice cream is churning so the ice cream doesn’t melt along the edges when you pour it in.